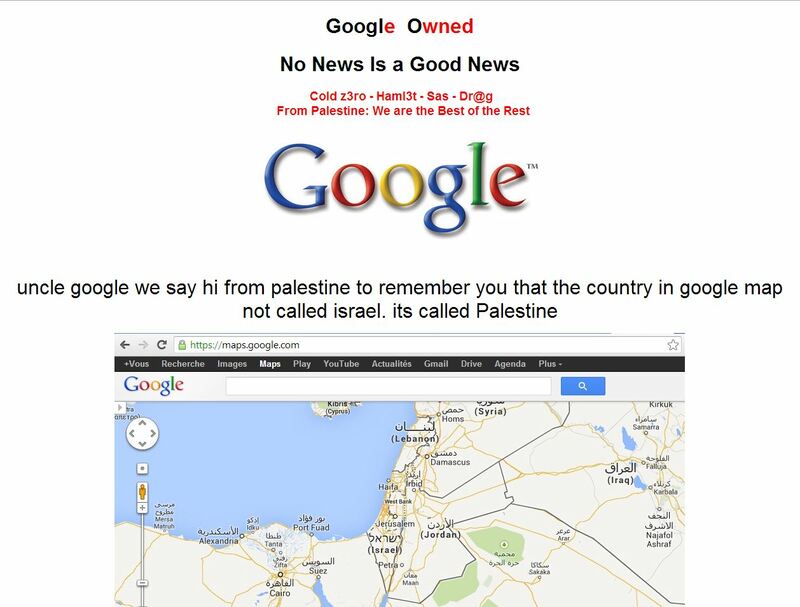 Google’s presence in the Palestinian territories, Google.ps, has been defaced by hackers, apparently objecting to the Google Maps labeling of the Israel and Palestinian borders with a statement appearing on its page protesting the term “Israel” used in Google maps. “***uncle google we say hi from palestine to remember you that the country in google map not called israel. its called Palestine,***” the statement says.